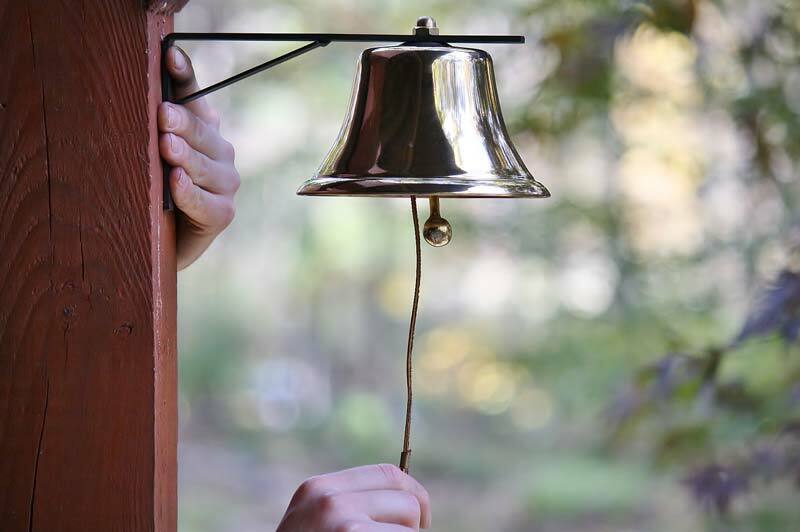 Is my bell solid brass or brass plating? Polished solid brass bell. Leather pull strap. 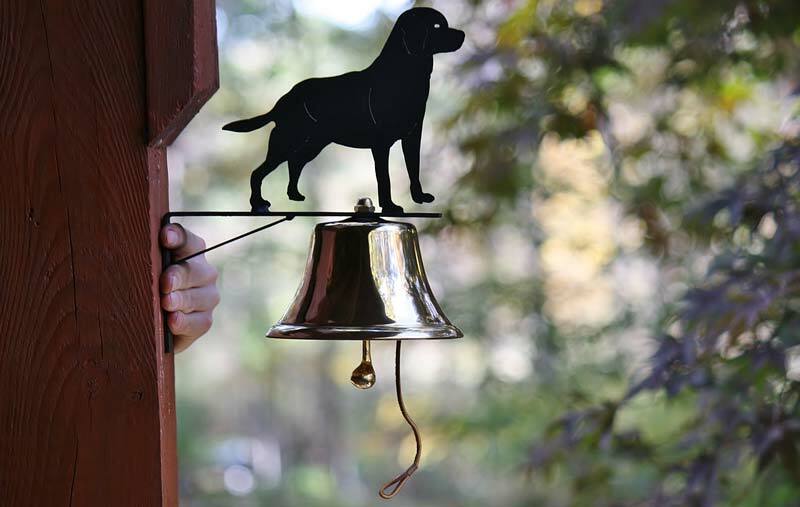 Bell: Height: 5", Diameter: 6"
This brass bell has a lacquer coating to protect its beautiful brass finish. The pleasing tonal qualities will grab attention every time! 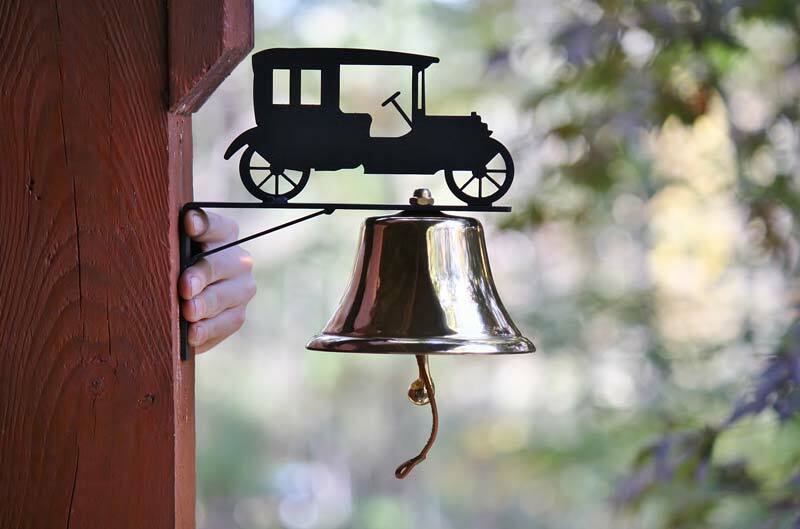 Use it for call in children or guests and as beautiful, musical decoration. 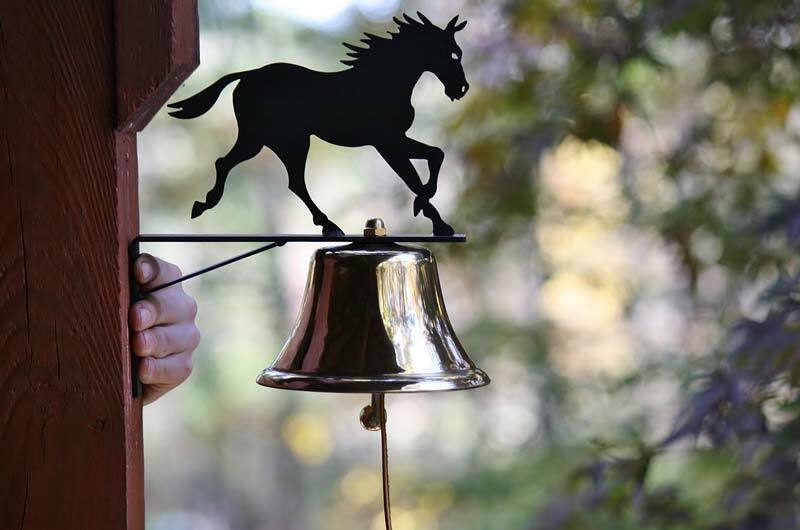 The horseshoe and bell hanger are made from cast iron. Comes with two screws to attach.